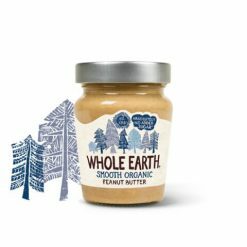 Organic peanut butter – smooth; no added sugar. This smooth organic peanut butter is delicious on bread or toast. Spread a little honey on top for a truly delicious treat. It contains a bit of added salt, and no added sugar.